Now BIGGER, BOLDER, BEEFIER than ever! Be satisfied by the unrivalled union of beef slices with their signature margarine and corn for the ultimate beef aroma and taste. 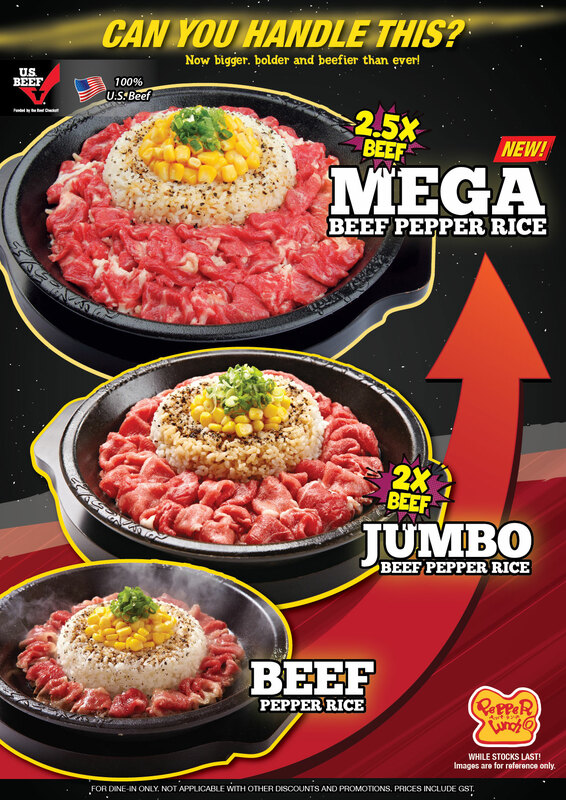 With 2.5 TIMES the meat, their new Mega Beef Pepper Rice is priced at just $12.90! Available at Pepper Lunch from 13 September. Visit them at #04-10/11/12.